We are all familiar with the concept of moving a home to Purley, CR8. Even if you've not been at the head of one before, there is a good chance that you have been involved with one. It's tough for everyone, even if the reason for moving is overwhelmingly positive. Whether you're a younger person who will have to make new friends, or the adult who has to sort out the preparations – it is a difficult process most of the time. Not so with the help of our high quality removal packages. Here at Moving Service, we can't promise to make any of the personal stuff easier to deal with. But by providing a helping hand with the physical aspects of the move, we will make the process of moving to Purley much easier. Thanks to our home removal professionals, you can relax as a team of experts take care of the packing, transportation, unpacking, and many of the tasks in between. To hire us, all you have to do is call us. Our removal company's number is 020 8746 4402. Purley Is a Convenient Slice Of High Class London! It is located in South West London in the CR8 postcode area, and is an affluent neighbourhood with a lot to offer in terms of both residential convenience, natural beauty, and interesting anecdotes. The asset that makes the area a special place to live is the seamless merging of high quality and spacious homes, with beautiful greenery. It is conveniently linked with to Central London through a variety of railway stations, but is located next door to the North Downs – whose chalky hills are a striking sight. The area is also home to the Kenley Aerodrome, which was an important fighter station during The Second World War. The area is a beautiful place, but it's not without substance. There is a prominent retail area with all manner of shops and services. There are classy restaurants all over the place, as well as stylish bars to relax and unwind in. 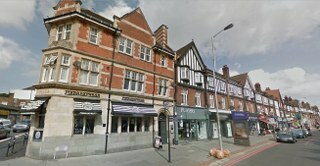 As a place to live then, Purley is one of the most complete around. It's got all of the natural beauty of the English countryside, but with the London transport links to ensure you can get where you need to be. It is a fairly expensive area, but it is well worth every penny. Our Moving Experts in Purley Can Take Care of Every Type of Move! So what exactly do you get when you hire Moving Service? The answer of this question is very simple. You get a well thought out and convenient service to help you with every step of the moving process. Our moving professionals are the best of their type in the entire CR8 area. They are a well organised team that will help you with the packing, unpacking, safe transportation and organisation of your move. With all this removal help available, you can relax knowing you're in safe hands. There is more to moving a home than just the actual, physical moving process. It can be hard to adjust and co-ordinate your life around a fresh location. But with a high quality removal company like Moving Service on your side, you can count on us to make the going easier. Just give us a call on 020 8746 4402 and you'll see how we can make your home removal to Purley a simple and pleasant process. Let's face it, no one wants to move, but sometimes we have to. Moving Services did us right. Their movers were fast, efficient and got us to Purley CR8 with time to spare.